Our shops are equipped with the latest in production and processing technology. 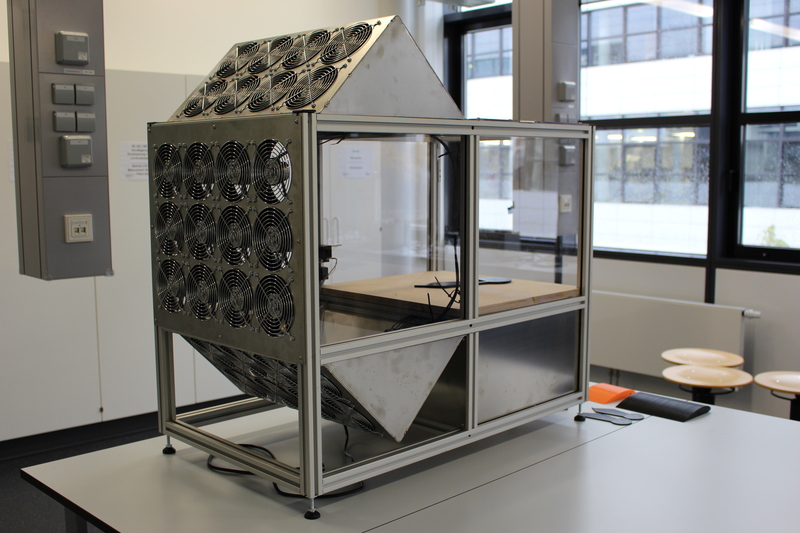 With a broad range of material processing possibilities, tools, bar stock and standardised parts, they give students and staff the freedom to construct their ideas, whether as single units, as functional devices and prototypes or new mechanical components for master’s thesis projects. The centrepiece is the Production Hall, a realistic reproduction of an industrial production facility. Staff there contribute experience and know-how to the Rhine-Waal Racing Team and the Submarine Team, assisting with the repair and maintenance of their vehicles, as well as with logistics. The Production Hall is also used by professors for practical teaching demonstrations. The lab director, Professor Alexander Klein, is responsible for organising practical demonstrations for students in Mechanical Engineering (B.Sc. ), Industrial Engineering, Mechatronics Systems Engineering and Mechanical Engineering (M.Sc.). Our workshops can also be used for external orders. We are happy to assist you with the calculations and implementation of your idea, so please contact us for more information. 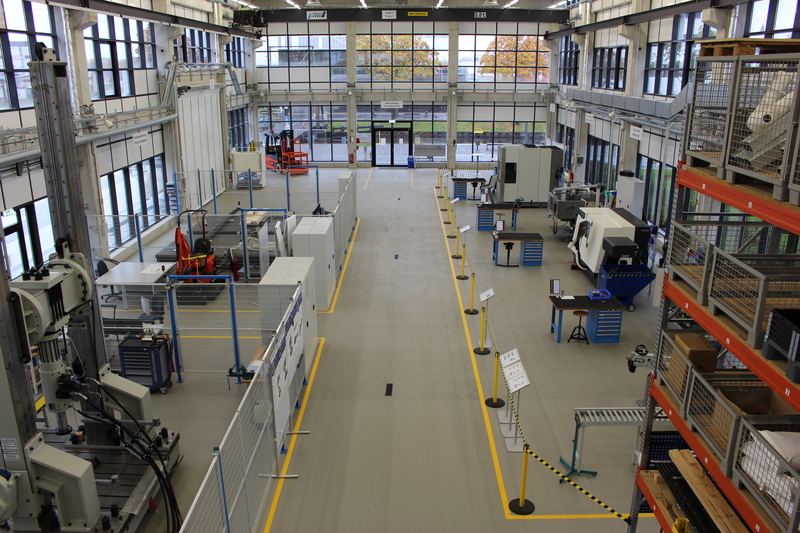 Located in building 7 on the Kleve Campus, the Production Hall is used for demonstrations and general machining of metals and synthetic materials. 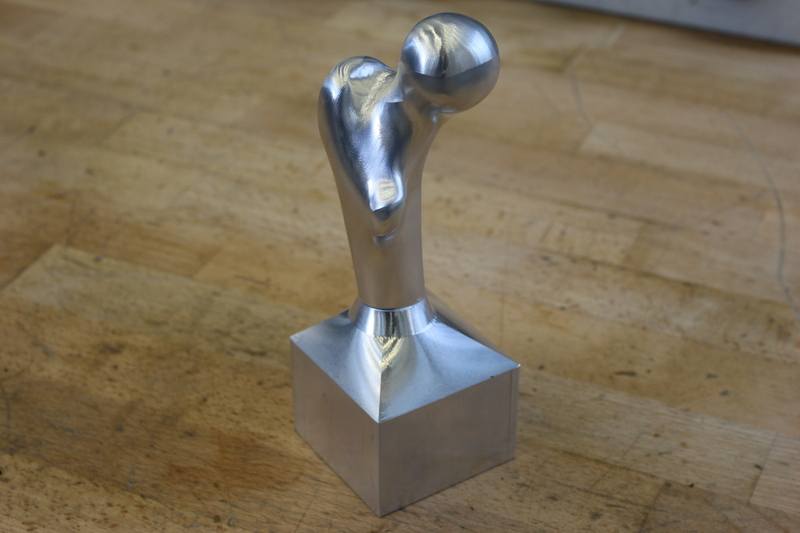 Machining options include both conventional turning and milling and CNC turning and CNC milling (5 axes or 3 axes). Cutting, scribing and drilling operations are also possible, as well as the measurement of production pieces and tools. The universal test bench for component testing, for which Professor Peter Kisters is responsible, is also available for use. 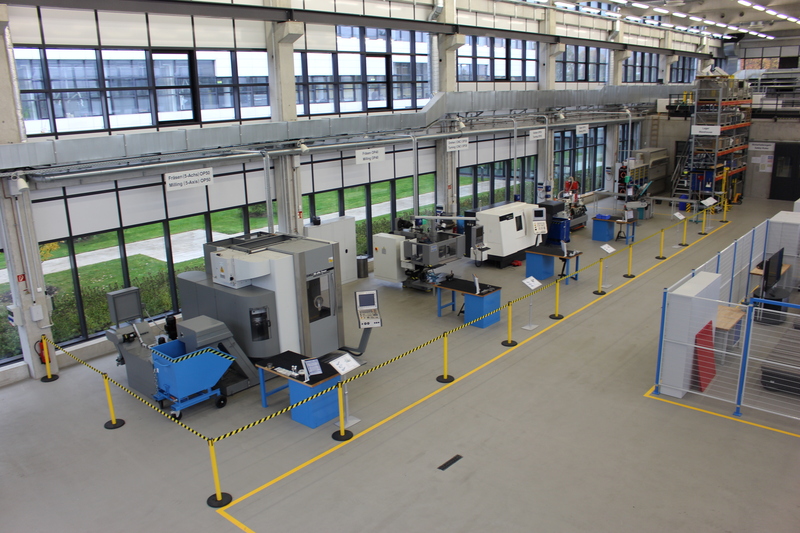 The Central Machining Shop is used for a variety of repair and assembly operations. It includes a welding booth certified for all types of welding, as well as a sandblasting booth for surface treatments. Small-scale drilling work is also possible. This shop contains tools for cutting, bending and forming sheet metal, including mechanical shears, a swivel bending machine, a roller and a hydraulic press. 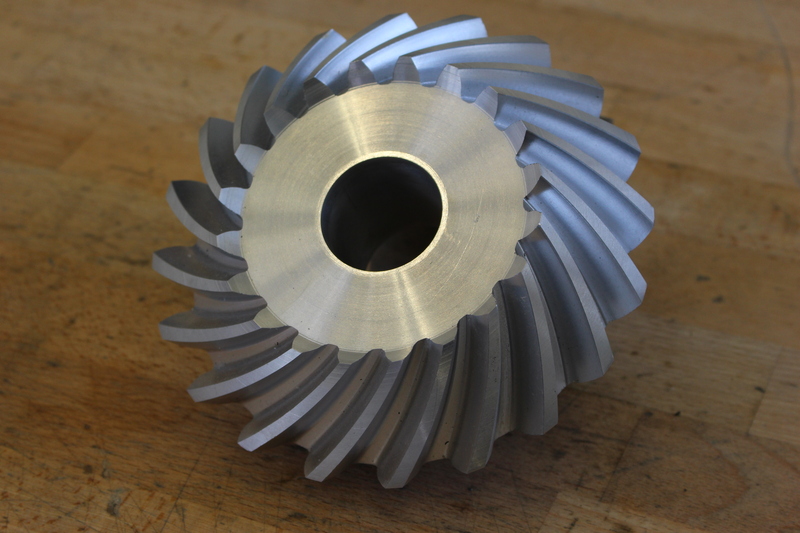 Precision cutting and bending is also possible with hand shears and smaller bending devices. A variety of standard materials are stored in an adjacent area. The Precision Processing Laboratory contains tools for laser cutting and engraving of both wood and synthetic materials. For projects, flat grinding of guides and underlays (pilot machine) as well as vertical erosion operations (pilot machine) are also available for use. This shop is used for working wood and synthetic materials. It contains both a circular saw and band saw for cuts, and conventional milling is also possible. Beyond that, materials can also be dressed, planed, drilled and glued.